2Captcha is an online service where you can buy and perform captcha solving services. As a buyer this is useful especially when it comes to automated software that need to solve captcha’s to perform their work, a prime example of this is SEO tools that submit pages and links. 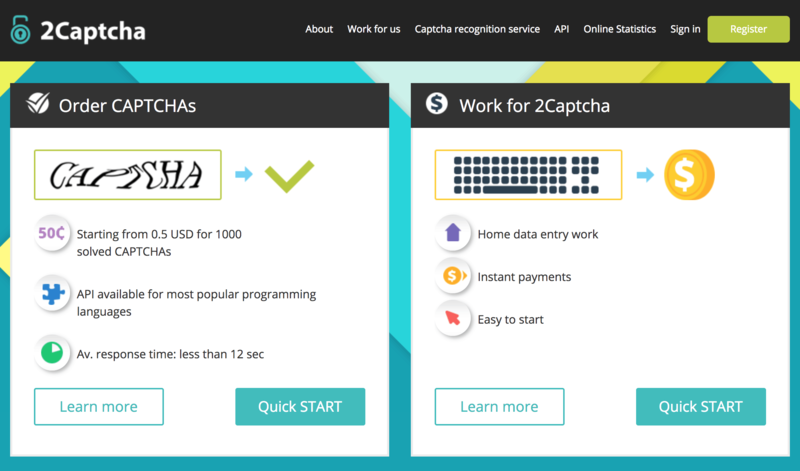 As a worker 2Captcha allows you to solve captchas for clients and share in the revenue.